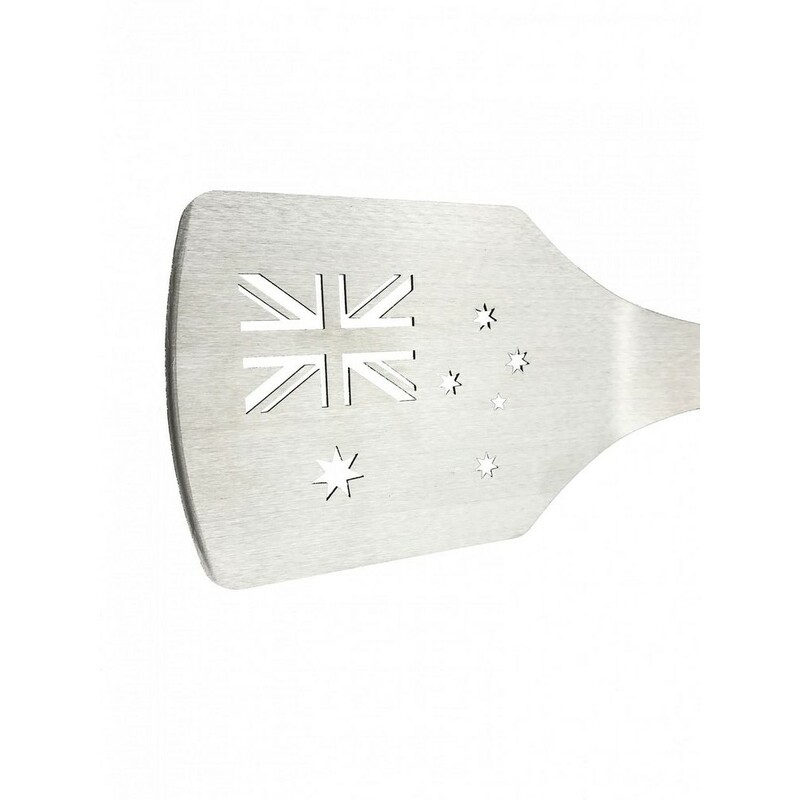 The Australian flag BBQ spatula has the Australian flag laser-cut into the high quality stainless steel blade. 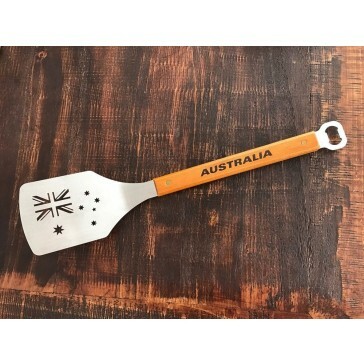 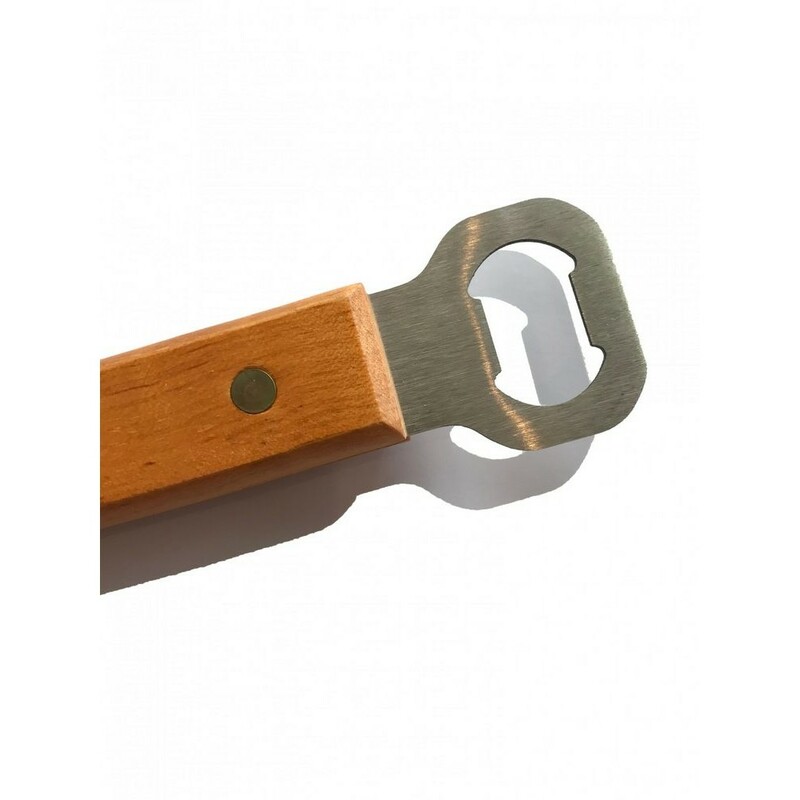 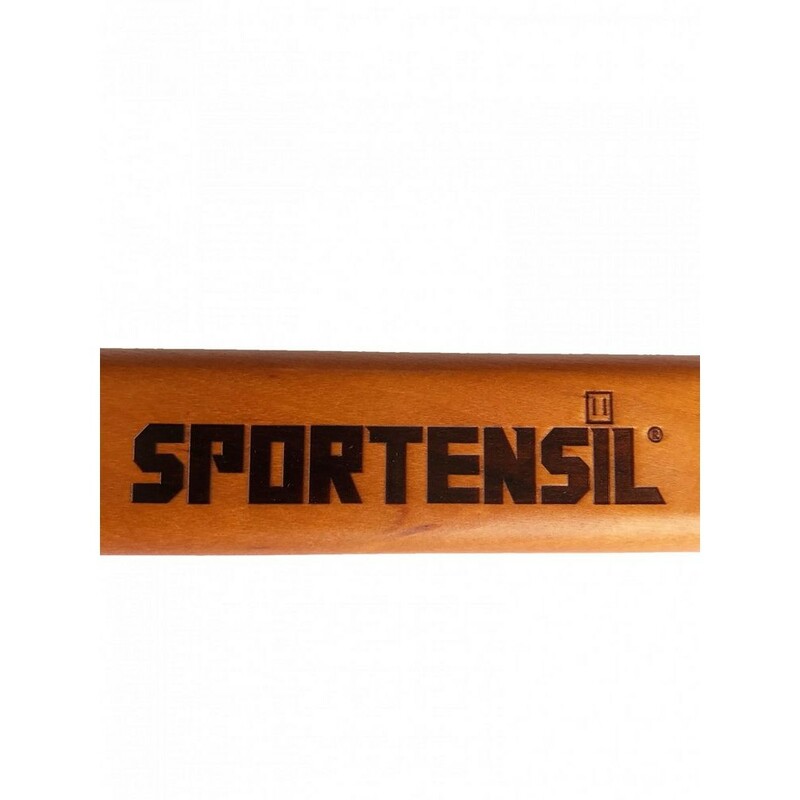 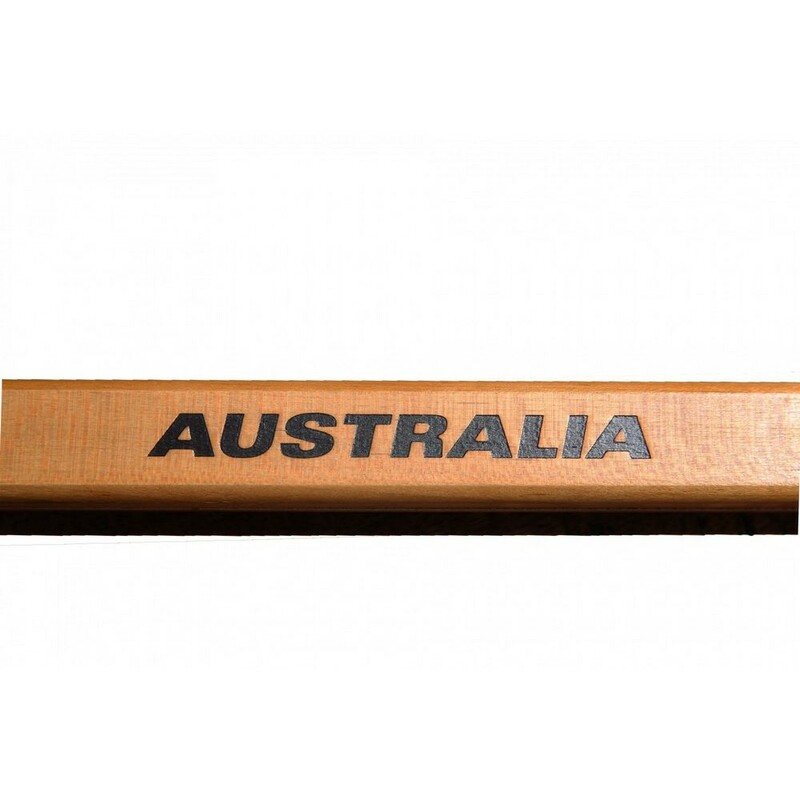 Additionally, the word Australia is heat stamped on the brass-riveted hard maple wood handle and features an integrated bottle opener, which adds the premium touch. A perfect gift and the ultimate BBQ accessory.